If you’re buying a diamond for the first time, you’ve probably done at least some research. You might have your heart set on a certain diamond shape, or know which settings will complement it well. If you’ve really done your homework, you probably also know that gemologists grade diamonds based on the 4 C’s (clarity, color, cut, and carat). Clarity is the absence of imperfections, whereas color is the absence of color. The carat indicates the weight and size of the diamond, and the cut determines its brilliance. 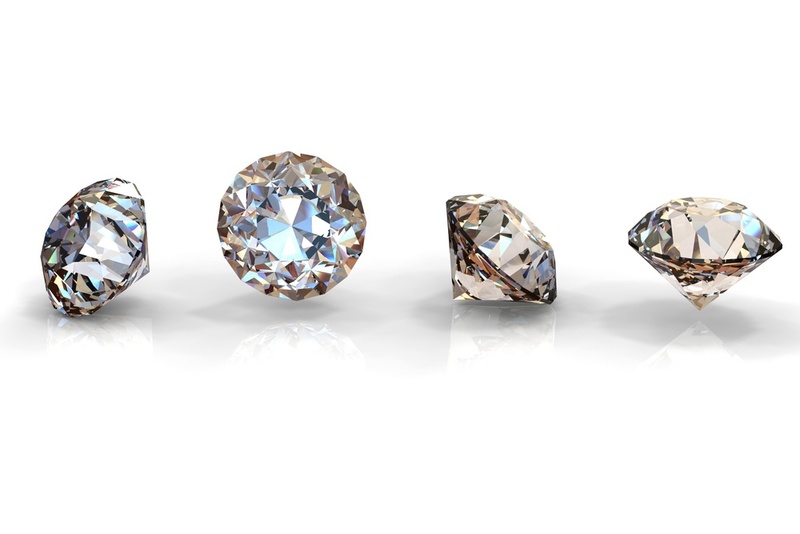 Each of these grades is considered when determining the value (and therefore the price) of a diamond. But which one of the 4 C’s is the most important? If you’re buying on a budget, you may not be able to afford a diamond with high grades in all 4 C categories, especially when it comes to clarity and color. So, how do you compare diamond clarity and color? Should you prioritize finding a blemish-free diamond, or does color make more of an impact on the appearance of the diamond? The truth is that it varies depending on the shape of the diamond (not to be confused with the diamond’s cut!). This is because some diamond shapes hide imperfections better than others. If you’re shopping for one of these shapes, you should prioritize color over clarity to get the best-looking diamond that falls within your budget. Emerald Inclusions are fairly noticeable in emerald cuts and other shapes with step cut facets. It’s recommended that you choose an emerald cut diamond with at least a VS2 clarity grade. The emerald cut was originally created to enhance the natural color of emeralds (hence the name). To avoid enhancing any yellow tint, your diamond should fall between D-H on the color scale. Round Inclusions are usually not noticeable in round diamonds, so buyers can go a bit lower on the clarity scale. Choose a diamond with an SI1 or SI2 clarity grade or higher. These diamonds will look flawless, but will be significantly less expensive than flawless diamonds. Round diamonds reflect more light than other shapes because of the way they are cut. As a result, round diamonds are better at hiring hide low color grades. As long as you choose a round diamond with a color grade of J or above, you shouldn’t see any noticeable color. Princess Princess-cut diamonds also hide inclusions well, but because inclusions in the corners can make the diamond more susceptible to chipping, clarity is more important than color. Stick to princess-cut diamonds with a clarity grade of SI1 or above. It’s recommended that you don’t go below an I color grade if you are buying a princess-cut diamond. Cushion Cushion cuts have large tables, so if you go below an SI1 clarity grade, you may be able to see the inclusions. The color grade is more important than the clarity grade because cushion-cut diamonds tend to retain a lot of color. If you don’t want any hints of color, look for a cushion cut diamond with a color grade of H or above. Radiant Radiant-cut diamonds have lots of facets and angles, which means imperfections are generally not visible. Because of this, you can go as low as SI1 or SI2 on the clarity scale, and the diamond should still appear flawless. If you are shopping for a radiant diamond, prioritize color over clarity. Look for a radiant diamond with at least an H grade on the color scale if you want your diamond to appear colorless. Pear Clarity is not as important as color when it comes to pear-shaped diamonds. Look for a pear-shaped diamond that has a clarity grade of SI1 or SI2 for the best value. Pear diamonds show more color than many other shapes, so color should be your priority. For white metals, look for a color grade of H or above, but you can drop down to a K if you choose yellow or rose gold. Asscher Another step cut diamond, the Asscher cut, is more likely to show inclusions. Because of this, clarity should be your priority when buying an Asscher-cut diamond. It’s best to stick to a VS2 clarity grade or above. Look for Asscher-cut diamonds that fall between D-I on the color grade scale, with an I grade for the best value. Oval Inclusions are often obscured in oval diamonds, so you can safely go down to an SI1 or SI2 on the clarity scale. It is hard to find hints of color in oval diamonds, but color should still be a priority over clarity. Look for an oval diamond that has an H color grade or above. Each of the 4 C’s can impact the appearance and beauty of the diamond. For instance, the color can affect the diamond’s hue and the clarity can affect its clearness. The carat weight affects the size of the diamond, and the cut affects how much it shines when it hits the light. For this reason, it’s important to consider all of the 4 C’s when shopping for a diamond. But, this diamond clarity and color chart can help you determine which category to prioritize over the others in order to find the perfect diamond. Keep a copy of this helpful chart handy the next time you shop for a diamond so you can reference the information as needed. 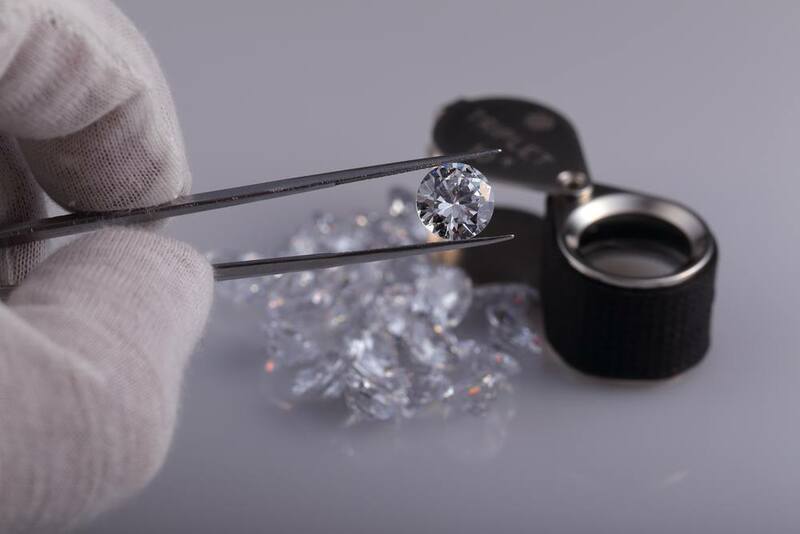 Once you’ve found the perfect diamond, make sure to ask for it’s Gemological Institute of America (GIA) report so you can verify it’s color and clarity grades. By following these tips, you will have no trouble finding the best and most beautiful diamond without breaking your budget!